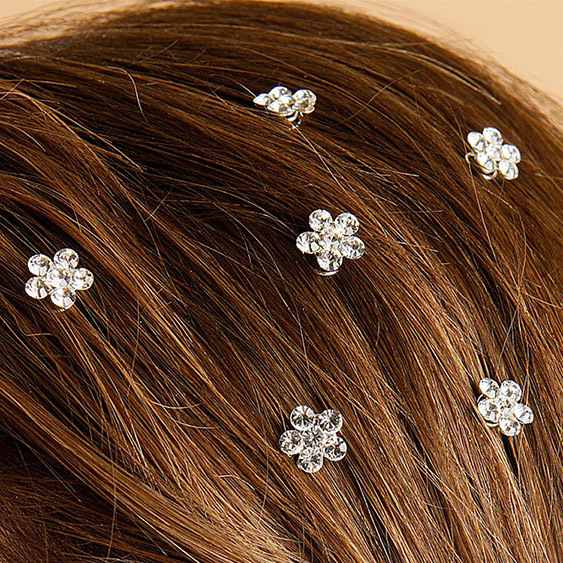 * Light up any prom or bridesmaids hair style with Mariell's glimmering Austrian crystal flower hair spirals. * These popular hair spirals simply twist into the hair with dainty silver coils and add clusters of sparkle to any style. * Our adorable hair twists come in a package of 12 spirals and are available in your choice of 20 dazzling colors. 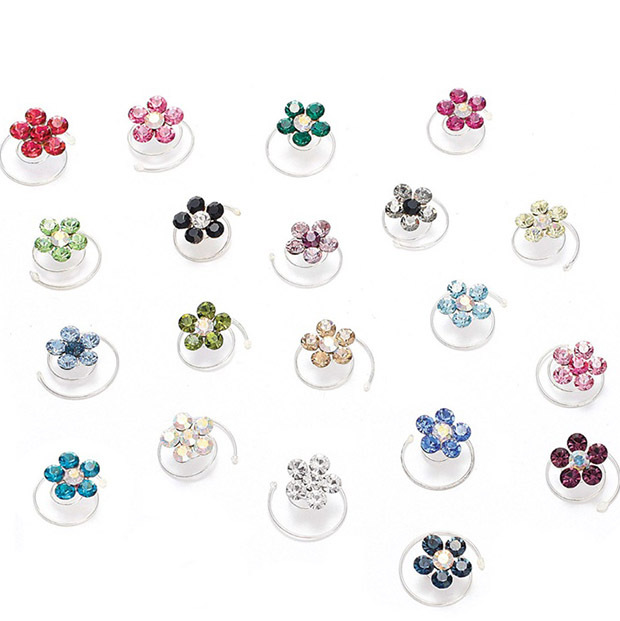 * Each adorable flower measures 3/8" h.
* These top selling hair accessories are available at a great wholesale price!